On Thursday at Cambridge in the Non Tote race is Cheeky Babe who was an impressive winner of her race debut in the Non Tote at Auckland last week and so looks the one to beat again. In Race 2 is Miss Shuga who was a good trials performer before making her debut at Auckland 3 weeks back where she didn’t flatter, so realistically has each way claims here. Over at Redcliffe in Race 7 is Raesawinner who hasn’t been racing that well of late and will need some improvement to feature in this. At Penrith in Race 4 is Vasari who has been thereabouts in most of his races since last winning back in January, so from the ace draw in this certainly can feature. On Friday at Auckland in Race 9 is Ab Fab who is on debut after a recent 2nd at the trials and may get the run required to finish amongst them from her ace draw. At Addington in Race 1 is One Change who has run a couple of recent good trials, but has been thrown in the deep end here against a couple of smart stablemates, one being Flying Even Bettor who was an impressive winner in the Gr.3 Kindergarten Stakes at Wyndham last week and rates highly to go close again. In Race 4 are Kayla Marie who was a good winner at Alexandra Park last time and should be right amongst this again and Bubbled Up who was a closing 2nd to Kayla Marie last start, but loses out in the preferential draw conditions and will find it hard from her wide draw. In Race 9 are Elle Mac who has struggled with her form of late and will need to show improvement and Funatthebeach who has been racing well this season and finished off his last race well for 3rd 2-weeks back, so must rate to the fore in this. In Race 12 is Zinny Mach who has also been racing well, but disappointed after a good trip last start and with the right run from his 2nd Row draw is capable of being in this. 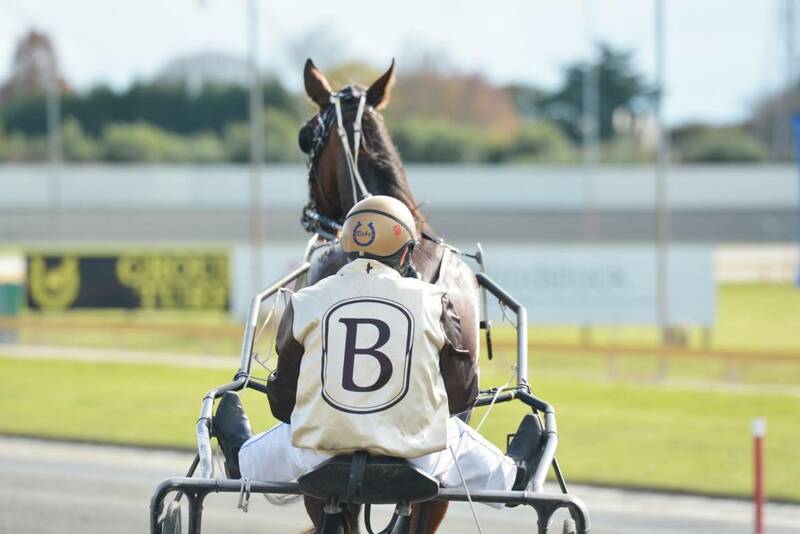 Over at Shepparton in Race 4 is Popcorn Sutton who is talented, but has been known to do a few things wrong, so if he does behave, he should be right in this. In Race 6 is Pocket Thedeal who gets the ace draw here and with the right run should be thereabouts here. At Hobart in Race 3 is Stylish Trend who was a good winner 3-starts back off a 20m back mark, but then met some interference next start, before running 3rd last week, so with a little luck from his inside 2nd Row draw here can feature. At Gloucester Park in Race 1 is Neighlor who was rundown by the equal favourite to finish 2nd last week and with the right run from his wide draw is capable of getting some of this. In Race 2 is Bronze Seeker who was a winner on the course 2-starts back, but never got into last week’s race, will need some luck from his wide draw here, but can feature. In Race 6 is Just Rockon Bye who bounced back from a tough race to finish a good 3rd last week and should be right amongst this. On Saturday over at Albion Park in Race 9 is Bronze Ecstasy who has a string of 4th placings and with some luck from his inside 2nd Row draw over 1660m here, is capable of getting some of this. At Newcastle in Race 3 are Art I Special who has over raced, then broke in his latest two starts, after winning 3-starts back, so will need to improve to get some of this and Liukin who is fresh-up from a 2nd Row draw, but is capable of featuring in the finish here. In Race 5 is Our Dream To Reality who after a good run of form hasn’t got into his last three starts, so will need to find his old form to be in this. At Melton in Race 4 is Rock Tonight who has been mixing his efforts in recent racing, but has a handy draw tonight which should see him fighting out the finish. In Race 5 is Burnaholeinmypocket who is fresh-up after last racing in the Inter Dominions, but this won’t be easy from the outside draw over the short 1200m distance. At Port Pirie in Race 3 is Crystal Sparkles who went her usual tough honest race for a good win last week at Globe Derby Park and despite her outside Front Line draw over 1609m here, she is capable of winning again. On Sunday over at Devonport in Race 5 is Stylish Trend who was a good winner 3-starts back off a 20m back mark, but then met some interference next start, before running 3rd last week and is also nominated to race at Hobart on Friday, so if he lines up here off the Front Line he can feature in this too.